Marlborough is situated in the UK between the towns of Hungerford and Calne on the old coaching route midway between London and Bristol, The Marlborough area is steeped in history from Neolithic times onwards and makes a perfect base from which to explore the beautiful county of Wiltshire. A full range of shops can be found in the town, Marlborough is a market town and market days are officially on Wednesday and Saturday although market stalls are set up in the middle of the High Street on most days. 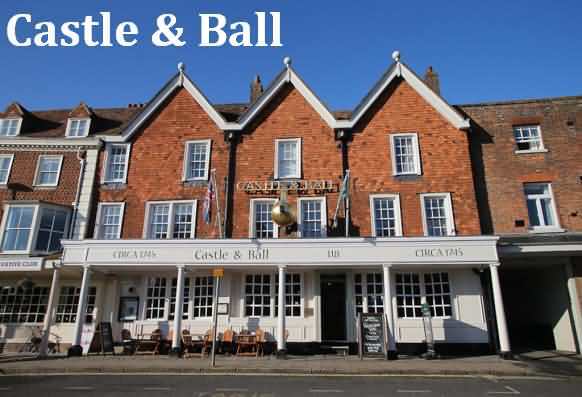 Dating from 15th century, the Castle and Ball is rich in character, and features a traditional restaurant and ale bar. The inn is situated on Britain’s widest high street, in the heart of Marlborough and comes with free parking. The Castle and Ball bar has original oak timbers and period features, and offers local ales and speciality coffees. The restaurant serves a modern British menu, using seasonal produce. The beautiful inn has a walled beer garden with outdoor seating. There is free on-site parking available, and the Castle and Ball also offers room service and free Wi-Fi access. The elegant rooms at Castle and Ball are traditionally decorated, and some feature ornate four-poster beds. All rooms have a private bathroom, tea/coffee facilities and a TV. Marlborough is in the heart of scenic Wiltshire, just a 20-minute drive from Swindon. The mysterious ancient sites at Avebury and Silbury Hill are just a 10-minute drive away. This Grade II listed hotel with an AA Rosette-awarded restaurant offers an intriguing blend of luxury and intimacy, along with traditional country house style and elegance, complemented by personal service. The staff will make your stay one to be relished and recalled with fondness. The 21 bedrooms, each with a superb bathroom, are individually designed and decorated for varying needs, and meet demanding standards of luxury. 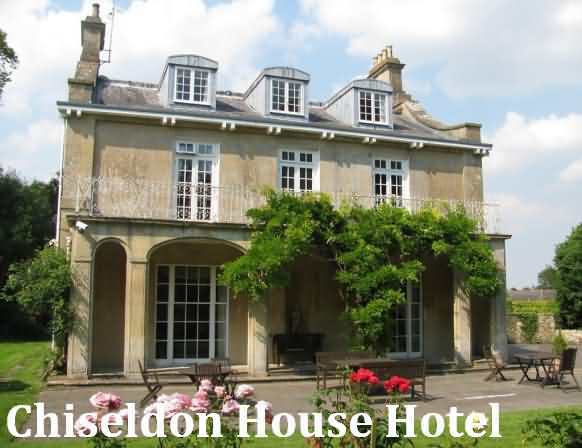 For guests wishing to explore the historic landmarks and awe-inspiring countryside of Wiltshire, or for those on business in nearby Swindon, Chiseldon House provides the ideal base. Situated just minutes from Swindon and the M4, ensures easy access from London and the West and only 7 miles from Marlborough. Set in meticulously maintained grounds bordered by fragrant and pretty grounds in the very heart of the countryside, Chiseldon House has a natural charm. Tresco House offers two recently converted self-catering cottages in the grounds of a former vicarage, and 2 en suite rooms in the main house. The property is 1 miles from Marlborough. 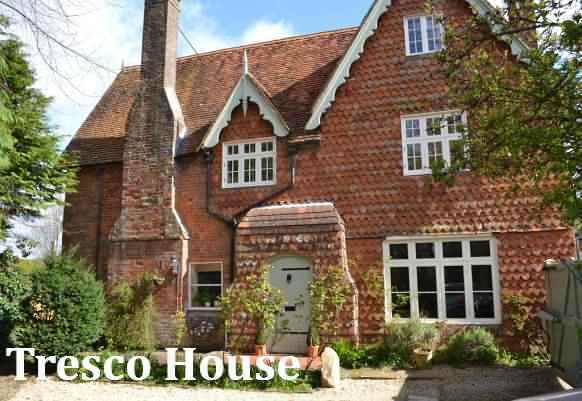 The Coach House has a ground floor king-size bedroom, an open-plan living space with fully-fitted kitchen, a large ground floor shower room, a first floor double bedroom and a dressing room. The Courtyard Cottage is a collection of four ground floor rooms, a double bedroom, a lounge with a dining area, a bathroom and fully-fitted kitchen. Both properties have secure parking and free WiFi. Guests have use of a private garden area, that offers country views beyond. A mini welcome hamper, tea and coffee provisions, bed linen, towels, dressing gowns and toiletries are provided in the Coach House and Courtyard Cottage. The Deluxe King Suite and Deluxe Double Room are in the main house and include full English breakfast. 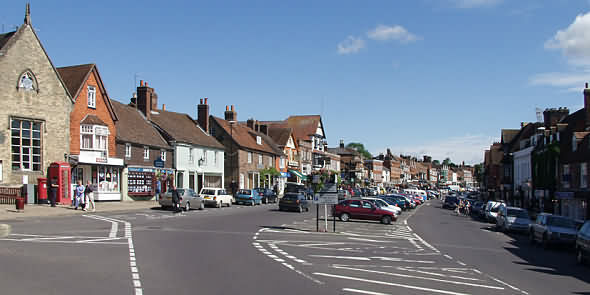 A pub can be found close by and the market town of Marlborough has a range of shops. Avebury is 10 minutes’ drive away. The cathedral cities of Salisbury and Winchester, as well as the spa towns of Bath and Cheltenham can be reached in an hour by car. Oxford and the beautiful Cotswolds are within 45 minutes' drive. Heathrow Airport is 65 miles away. The White Horse Inn offers accommodations in the small Wiltshire village of Compton Bassett - 5 miles from the town of Calne and 14 miles from the town of Marlborough. 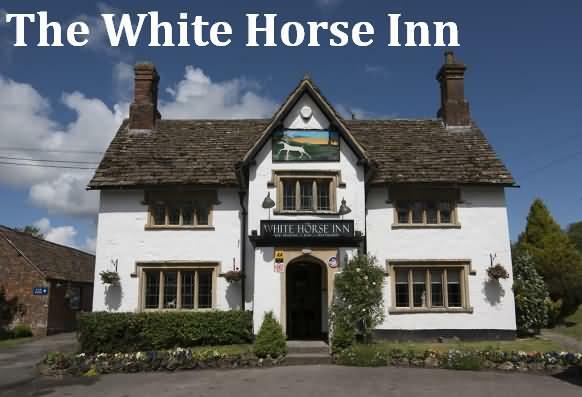 The White Horse Inn is named after the Cherhill White Horse, which is the second oldest of the Wiltshire horses. It is situated on the edge of Cherhill Down, off the A4 Calne to Marlborough road just east of the village of Cherhill, and is just below the earthwork known as Oldbury Castle. Avebury and the ancient stone circle is 13 miles away and Stonehenge 25 miles. All rooms are equipped with a flat-screen TV. All rooms come with a private bathroom. Bath is 18 miles from The White Horse Inn, and Bristol is 28 miles from the property. The nearest airport is Bristol Airport, 33 miles from the property.